NBA superstar Andrew Bogut has warned he has no interest in chasing individual glory for Sydney in the NBL, his sole ambition is to hold up the championship trophy at the end of the season. 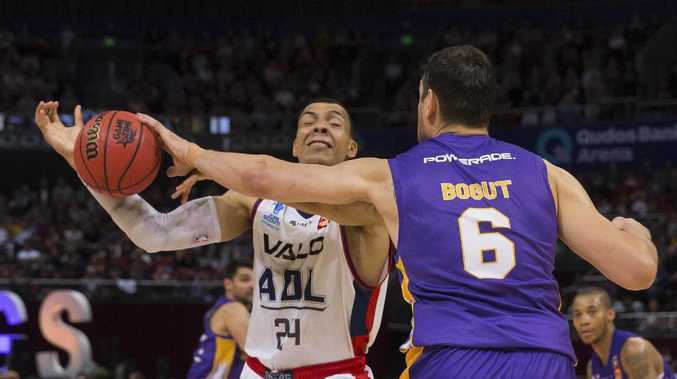 Bogut, an NBA championship player and the first Australian to be drafted at No.1 in the US, was held to six points in the Kings' loss to Adelaide last week before fouling out in the last quarter. He did grab an impressive 15 rebounds to go with four assists but the reaction to his numbers suggested the expectation was that he was going to tear the game apart with high scores. 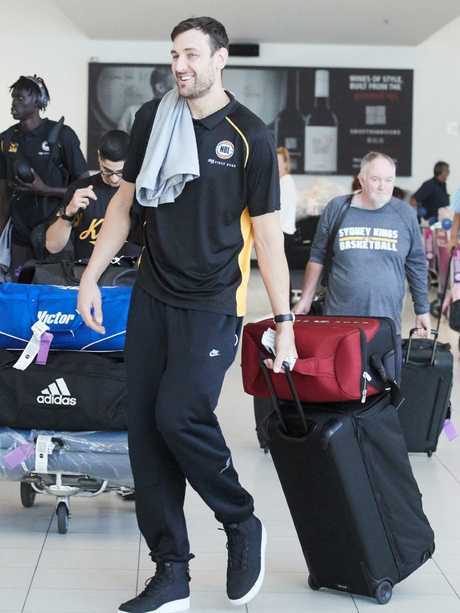 But as Bogut arrived in Adelaide for the Kings' rematch against the Sixers on Friday night, he said his pass mark was not based on numbers. "If you just look at the points, yes (there's been too much hype about his arrival)," Bogut said. "People that don't follow basketball just look at a score sheet and look at points. "You're going to be disappointed from game to game sometimes, because I'm not going to top score every game. "I try to rebound at a high level, protect the basket and get us a win and I didn't do most of those very well last week. "But if people think you can correlate stats with a good game I'll tell you now, there's a lot of guys who put up big numbers and lose games. "I don't have a pass mark on stats. I have a pass mark on holding the trophy at the end of the season. "I can go out there and try to shoot 25 times and try to lead the league in scoring and take shots and average X per game... at the end it is worthless. "There's a lot of guys all around the world who can average big numbers but don't play team basketball and don't win games." Bogut expected another fierce battle with Sixers bigman Daniel Johnson, who was outstanding as Adelaide ran over the top of Sydney on the road last weekend. He also expected there to be more fire in the match, with the players having faced each other so recently. "He (Johnson) had a really good first game, shooting the ball very well from the outside," Bogut said. "Guarding a big man like that I've got to get up, got to do a better job of getting to him and try to be a bit more physical out there. "Hopefully the referees will let us play a bit more on Friday night. "It's very interesting when you play the same team a week apart because it does get a little bit more physical the next game and a bit more chippy. 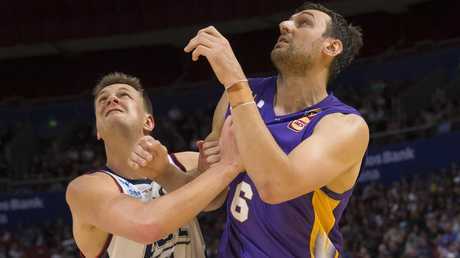 Bogut had expected tighter refereeing in the NBL than what he was used to on the biggest stage. But he was not worried about the adjustment as long as the refereeing was remained within the same parameters each week. "I was forewarned before I came here that the refereeing was frustrating at times but they're trying their best," Bogut said. "We all make mistakes. "The biggest thing you expect is consistency game to game. If your going to call a ticky-tack arm a foul in game one you better call it in game 50."